We're heading towards the holiday season and things are quietening down. The major release of the week was Dishonored 2, although a special mention must go to the game that celebrates a jar of mayonnaise. We missed the week of October 14th because I was away. We missed last week because DDoS attacks prevented access to the Playstation Stores. This week, nothing is going to stop us and we have a mega roundup for you. Titanfall 2, Just Dance 2017, Dragon Ball Xenoverse 2, World of Final Fantasy, Sherlock Holmes, Farming Simulator 17, Loading Human, Mark McMorris Infinite Air, Root Letter, Earth's Dawn, Monster Jam: Crush It! and plenty more. This week sees the first wave of VR titles release as well as, Aragami, Criminal Girls 2, Dragon Quest Builders, Geometry Wars³, Loading Human, REUS, Root Letter, Skylanders Imaginators, SPACE HULK, WRC 6, WWE 2K17, and more. The fourth trailer for visual novel Root Letter highlights Aya's classmates. Interrogate, investigate and attempt to unravel the mystery of what happened to Aya 30 years ago. 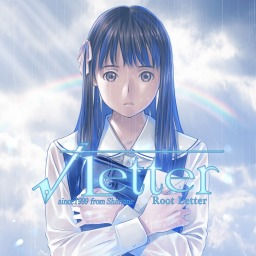 The first Root Letter game with trophies was Root Letter, which was developed by Kadokawa Games, published by PQube and released on 08 November 2016. 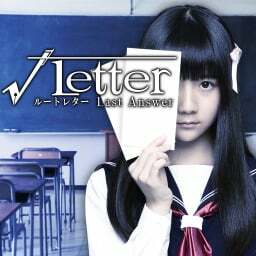 Since then there has been 1 more game in the series with trophies - Root Letter Last Answer which was developed by Kadokawa Game Studio, published by Kadokawa Games and released on 20 December 2018.